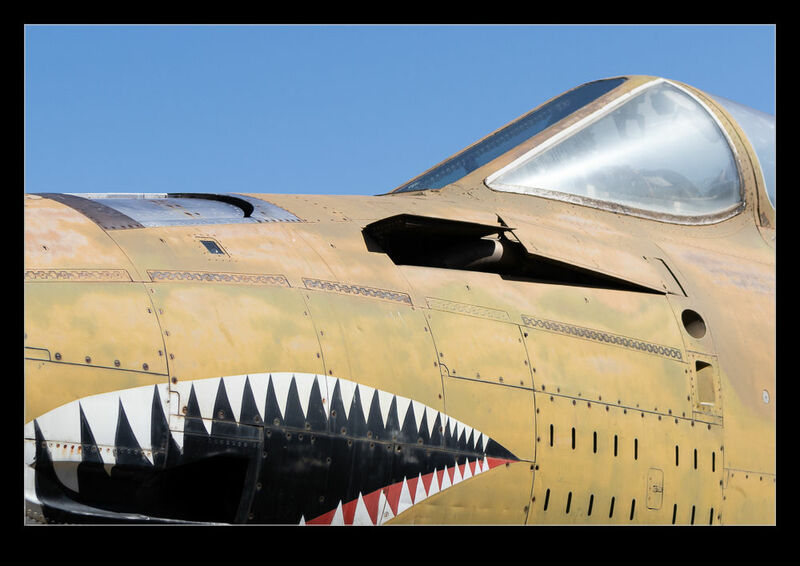 The F-105 Thunderchief (or Thud) is a beast of a plane. Sadly I never got to seem them in action. One is parked outside at Cavanaugh in Addison TX. Its camo is a bit bleached by the Texas sun (it was just over 100 degrees the day I arrived and that was towards the end of the afternoon). The thing that caught my eye, though, was the refueling receptacle or, more specifically, receptacles. USAF aircraft have the flying boom refueling system. This was not always the case and jets like the F-100 had flight refueling probes for the hose and drogue method. I assume that the Air Force was in a transition mode when the F-105 was being designed so they had both. On the upper side of the nose there is a ramp for boom refueling to take place. Below that on the port side is a retractable refueling probe for hose and drogue use. I didn’t realize that any jets had been built for both (aside from the UK and French E-3s which are a bit larger and more able to accommodate the extra kit. I wonder which one was more regularly used since the techniques for each type differ. 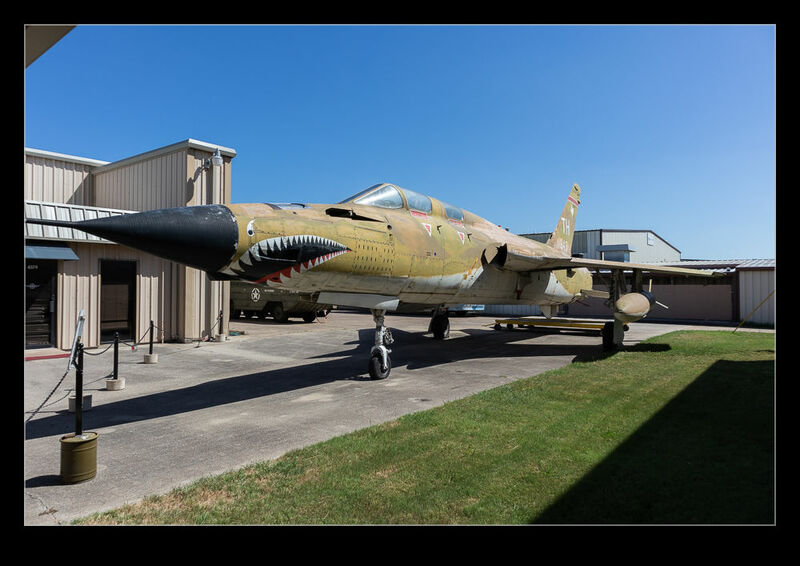 This entry was posted in aircraft, military, photo, vintage and tagged Addison, aircraft, airplane, boom, cavanaugh, f-105, fighter, hose and drogue, jet, military, museum, photo, probe, ramp, refueling, republic, texas, thud, thunderchief. Bookmark the permalink.